This stone house is located in Cubjac. It's a former bar-restaurant of 110 m2. It is . . .
Lovely property with 4 beds and 2 baths. Kitchen and large living room each with wood burner. . . .
Black perigord - Nice plot of 7000 m2 with truffle oaks. 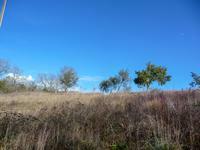 Nice building plot of 7000 m2 with truffle oaks. Situated on the outskirts of the village of . . . Village house with garden of 600m², situated near Cubjac in Périgord. This charming village house is situated in Cubjac, a calm spot where you have your local . . . Wonderful stone built longère with beautiful views and 2055m² of garden near the town of Cubjac. This lovely family home has been fully renovated, leaving spacious and light rooms . . .
Great potential for this former farm building with outbuildings with garden in the Black Périgord. Charming farm property to be restored and converted with outbuildings, ideal for people . . . Magnificent chateau dating from 1860, restored in 1993 into a charming hotel of 1500m². The . . .
Charming house with guest house, garden and garage. This charming house with 3 bedrooms is situated in a sunny spot, a few minutes walking . . .
Former farmhouse with courtyard, gite, swimming pool, garage/outbuildings and land with walnut trees. Near the town of Hautefort. This charming property is situated in a little hamlet, a peaceful little spot. Near a . . .
Charming village property, stone built, with beautiful vaulted cave, situated in the black Périgord, close to amenities. This charming village house is situated in a calm spot, with basic amenities nearby, close to . 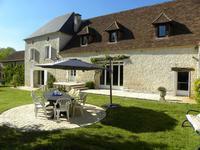 . .
Beautiful B&B (7 bed), stone built with swimming pool with over 1 hectare of land in the Black Périgord. This lovely stone property with swimming pool and 7 bed has been fully renovated throughout. . . .
Charming stone house, fully restored with outbuildings, garage, situated in a small hamlet in the Black Périgord. 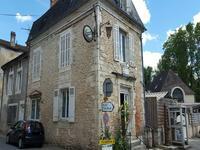 This charming stone built building has been fully renovated throughout, it is situated in a . . .